Star Award level ‘first round’ judging – ratings based on quality, depth, design, appropriateness for food menu and location etc. Invitation to live Awards Ceremony in London, UK. On the next page, fill in your establishment’s information, submit your wine list for entry. Wine List Awards 2018 from FILMARTPRODUCTIONS on Vimeo. Building on the success of its fifth year in 2018, the World’s Best Wine Lists are the annual awards that identify and celebrate exceptional wine lists around the world. 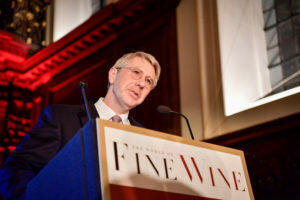 Entries are assessed by some of the world’s leading wine critics and Masters of Wine on a world-class judging panel chaired by The World of Fine Wine Editor, Neil Beckett. The lists are judged across a range of criteria that include depth, interest, quality, value, clarity, and accuracy. View last year’s judges here. 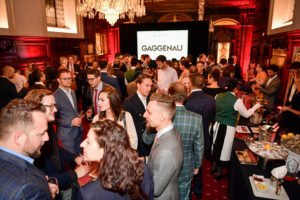 Enter the World’s Best Wine Lists 2019 for the opportunity to be recognized for having a world-class wine list, attend the awards ceremony in London, and be featured on a website enjoyed by a globally engaged audience. * For recognition for a Star Award only. Entries for consideration for a category award close on 31st March 2019. † Price per entry. One establishment per entry. ‡ When referencing US & rest of the world, this indicates that all countries outside the UK and Europe will pay $388 USD inc. VAT; conversion rates as of day of purchase.